You are at:Home»Law & Justice»What Part of Temporary Don’t You Get? What Part of Temporary Don’t You Get? The Lynn Item, a newspaper serving the North Shore of Boston, recently ran an article titled “Lynner in Fight to Keep Protected Status in Face of Potential Trump Cuts.” It’s allegedly the story of Jose Palma, a Salvadoran national afraid President Trump is going to unfairly send him home. In reality, it is a substance-free whine-fest that sheds absolutely no light on the issue supposedly being addressed. As is typical with mainstream media reporting on immigration matters, the Item appears to be favoring the “human interest” aspect of the story, to the detriment of the facts. You see, Mr. Palma is a recipient of Temporary Protected Status (TPS), a form of temporary relief available to aliens whose home countries are experiencing a temporary period of unrest, due to a natural disaster or armed conflict. The theory behind TPS – as its name makes abundantly clear – is that once the passing difficulty has been resolved, recipients should return home. But the Item wants its readers to believe that temporary actually means permanent. And it maintains that Mr. Palma is being subjected to a monumental injustice because President Trump seemingly plans to let the TPS designation for El Salvador expire. In furtherance of this argument, the Item claims that TPS was, “Established to protect people from deportation who came to the United States from countries ravaged by natural disasters and wars or both….” The total lack of context implies that all foreign victims of disaster or unrest are entitled to remain in the U.S. eternally. But that simply isn’t the case. TPS isn’t amnesty. It is an exercise of the government’s discretion to momentarily refrain from deporting immigration violators, out of concern for their immediate safety. Every grant of TPS expires and the government is under no obligation to renew. Why? Because, Temporary Protected Status was never intended to be anything but short-term. Accordingly, Mr. Palma is not in a “fight” to keep his status, because individual aliens don’t have legal standing to challenge the Department of Homeland Security’s decision to classify or de-classify a particular country as being eligible for TPS. He’s just miffed because his decision to ignore the obvious (e.g., that temporary relief isn’t permanent) didn’t work out the way he’d hoped. But those arguments are intellectually bankrupt. 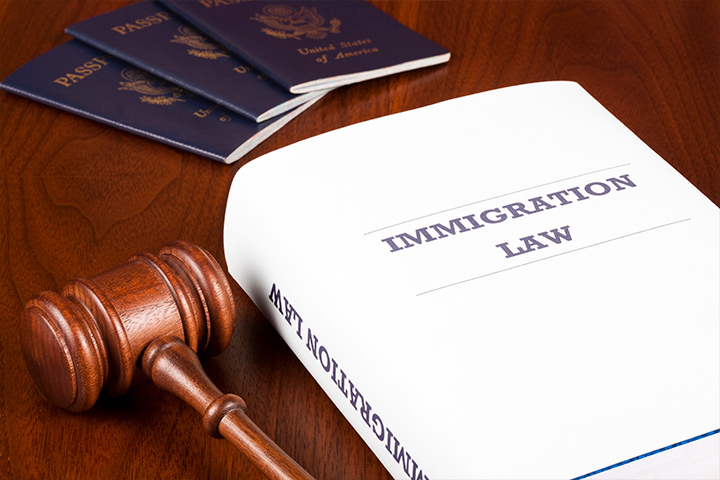 The U.S. confers immigration status according to the rule of law, not based on length-of-stay. And it’s not American immigration policy that separates families – it’s the fact that aliens choose to enter the U.S. unlawfully, or overstay their visas, then act as though they’ve obtained the right to remain here permanently when they’ve received only a temporary reprieve. It’s unfortunate that Mr. Palma doesn’t want to leave the U.S. But one wonders what part of temporary he and the Item don’t get? Please send them all back to their own countries !